Will Realm Royale Release on PS4 and Xbox One? Realm Royale has entered early access on Steam, but will it release on PS4 and Xbox One? One could say that battle royale games are common these days. The situation was officially out of control when Call of Duty and Battlefield joined the party, but there are a lot of options out there for players who are looking for a different take on the breakout genre. Having just released into Steam early access on June 5, 2018, Realm Royale is one of the newer games for those trying to get their battle royale fix. Steam is only available for PC players, though, so many others want to know if Realm Royale is coming to PS4 or Xbox One. Is Realm Royale Releasing on PS4? The short answer is that Realm Royale is likely coming to PS4. There is no targeted date for this to happen, so it could be months or even years down the road, but the intent of Hi-Rez Studios is to bring the game to the PS4 system sometime in the future. How quickly that happens is probably tied to how popular the game ends up being on Steam, but I’m only speculating there. Is Realm Royale Releasing on Xbox One? There you have it. 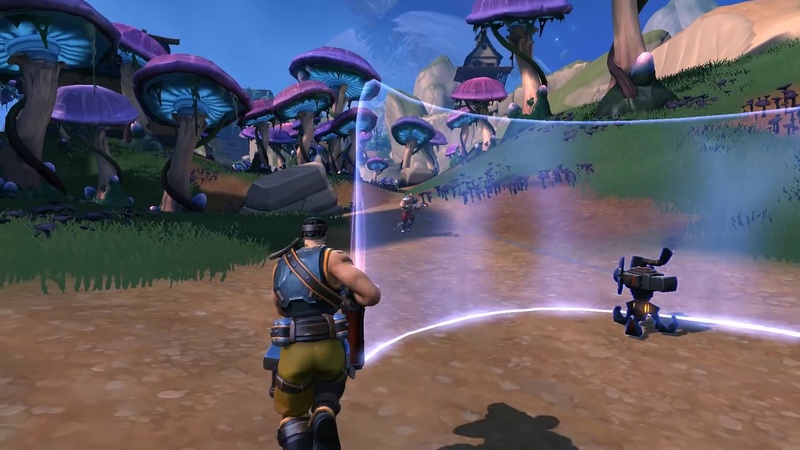 The intent by Hi-Rez Studios is to bring Realm Royale to the PS4 and Xbox One consoles in the future, but intent is a long way from confirmed. Intent changes all the time based on business needs and trends, but I’d say the chances of playing Realm Royale on PS4 or Xbox One at some point in the future are high. If you have a PC that can run it, though, Realm Royal is free on Steam.